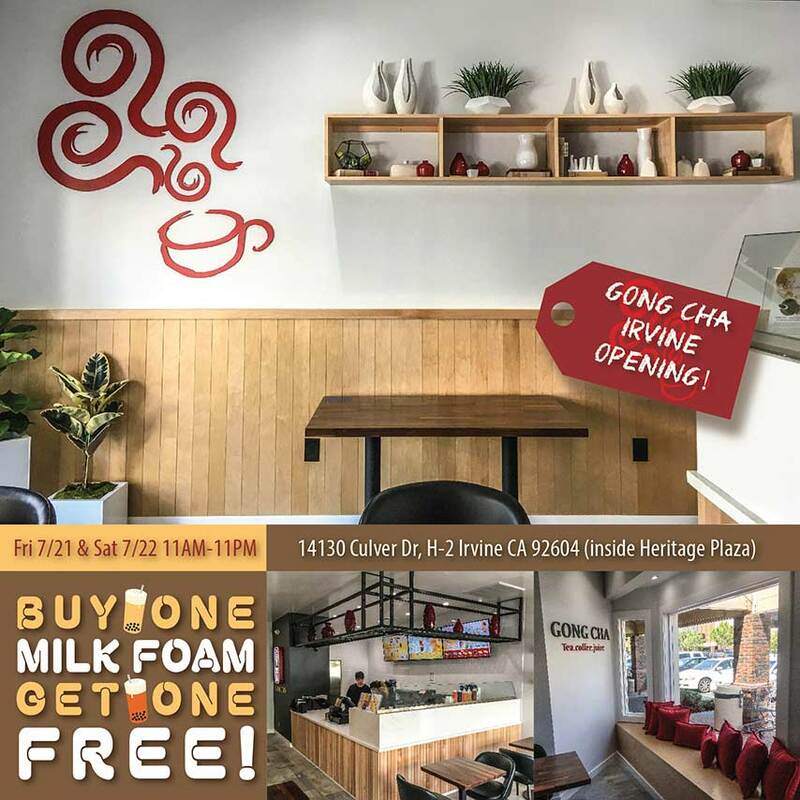 We are excited to announce the grand opening of the new Gong Cha Irvine cafe, located inside Heritage Plaza, on Saturday, 07/21! 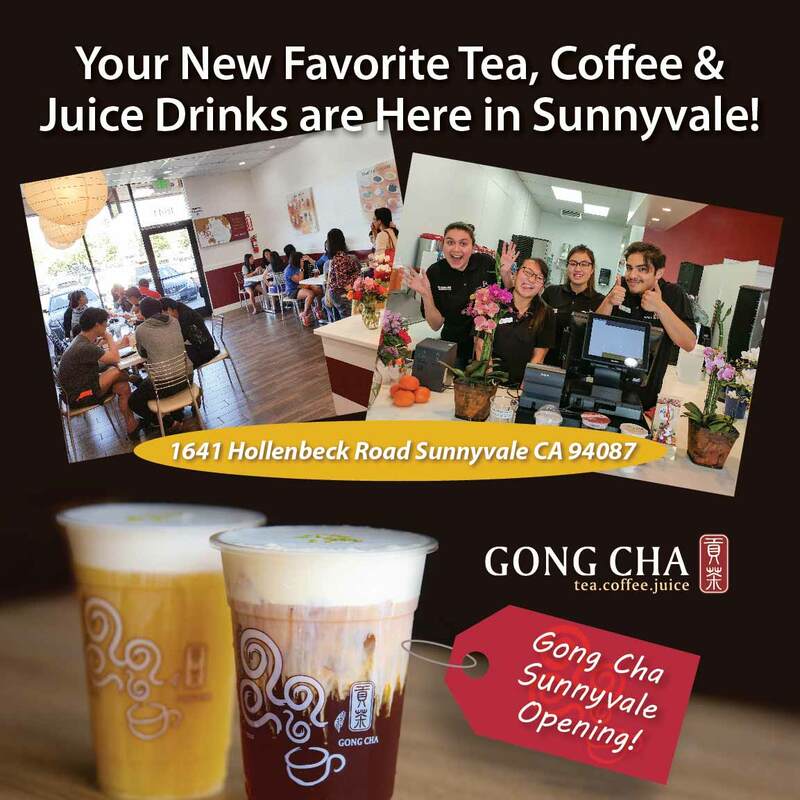 We are excited to announce the new Gong Cha Sunnyvale store, located in Shoppes at Homestead Plaza. 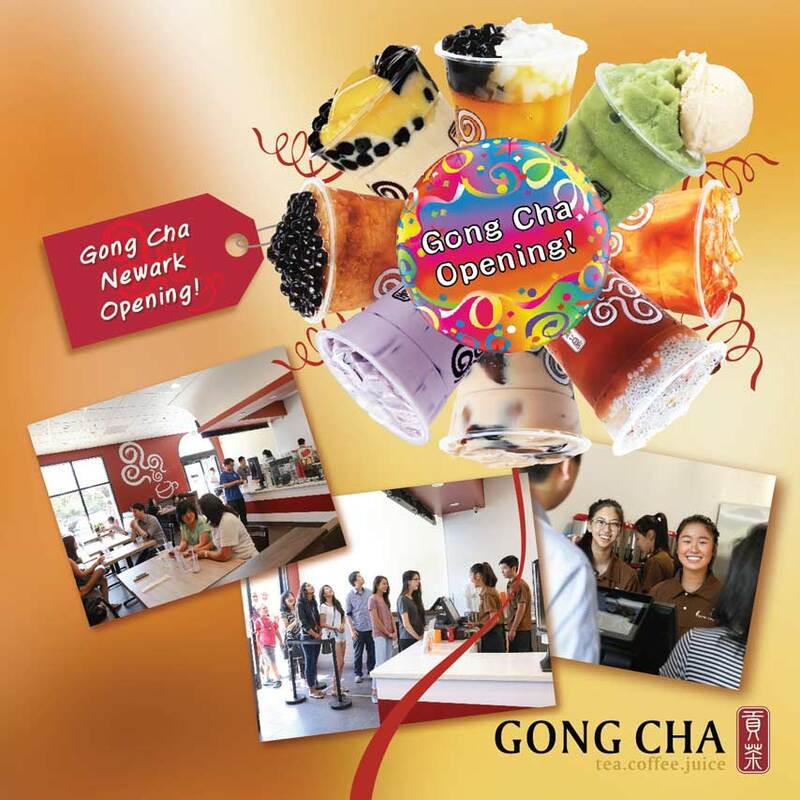 We are excited to announce the new Gong Cha Newark store, located in Cedar Spring Shopping center in Newark! 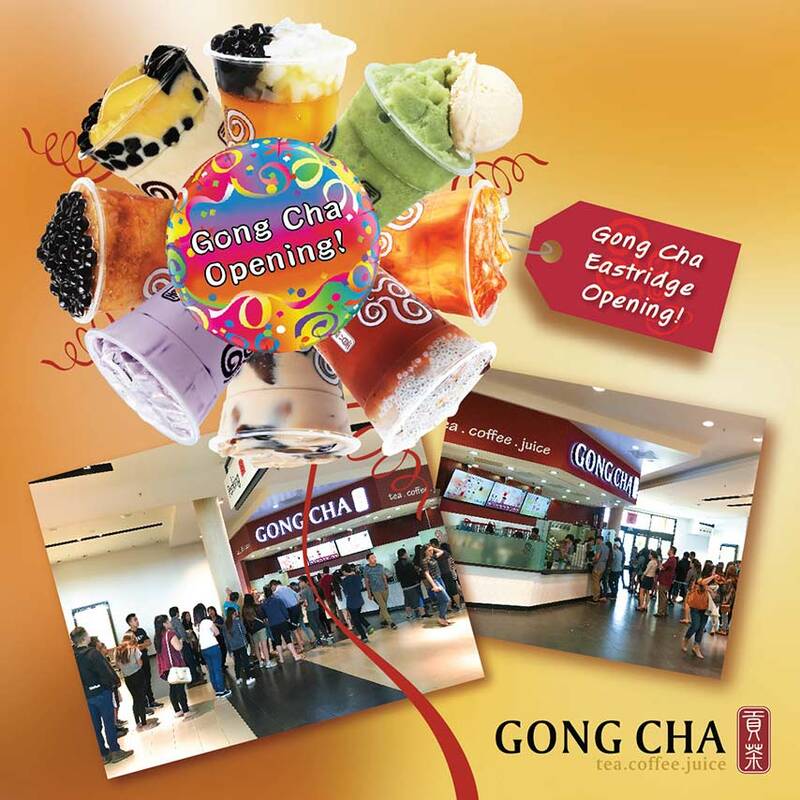 We are excited to announce the new Gong Cha Eastridge store, located in Eastridge Mall (in the food court) in East San Jose! 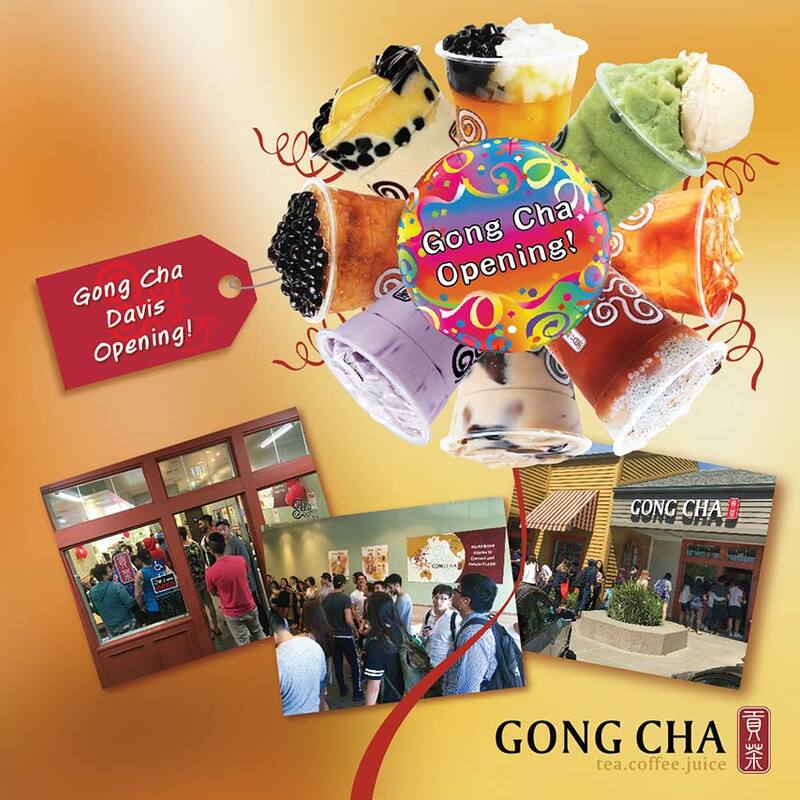 We are excited to announce the new Gong Cha Davis store, located in Marketplace Shopping Center in Davis! © 2019 Gong cha USA CA | All Rights Reserved.